SECURITEX-R-BELL302-Computerised Schedule Alarm Bell / Siren System / Emergency & Evacuation. SECURITEX fully automatic industrial siren / bell / alarm system is developed to solve the common daily problem of ringing bell, alarm / siren on time every time and some time only when required for Start work, Tea-Break, Lunch Break, end of break and off duty etc. Unlike other alarm / siren systems on the market, SECURITEX-R-BELL302 is a fully custom developed Alarm / SIREN System specifically designed for automating these processes, from the most basic schedules to the most complex type of schedule including holidays etc, the system can configured it very well. The schedule controller has a real-time clock built-in that will retain the scheduling data even when all the power is removed, this way when the power returned the system works again without any reprogramming. Different time schedule can be implemented in minutes and schedule changes in seconds. SECURITEX-R-BELL302 come with a unique SIREN software that is easy to setup and implement based around a clear, easy to follow year planner format. It enables administrator to assign multiple reusable schedules, using the office PC, by days, by weeks or by months. Whether your factory operates a manual system, audio based, industrial electronic timer or is controlled by your alarm company, SECURITEX-R-BELL302 exceed all this with accuracy, functionality, ease of setup, flexibility and running costs. The best part of this system is its standalone and you only need to have a 230VAC 13amp power mains to operate from. This system is also built for ease of moving it around that it c/w a carrying handle and also its own in-built power supply and rechargeable battery to ensure that even when the main power trip the system will function. The system without the main AC power source can operate for more then 3 days depend on the numbers of activation per day and because it is mobile in nature, the system can be carry around to be use in construction site, factory, manufacturing yard, very large warehouses, fabrication facilities, shipyard, aerospace manufacturing facilities and large open space or even tunneling construction sites where large group of workers break time need to be announce. (Optional) This system can also be reconfigured to become an emergency siren system where in an emergency on the site, an external non-schedule activation can be executed by using a remote control or GSM via SMS by an Authorized officer . 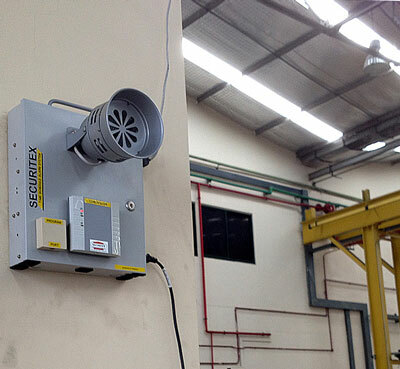 The existing system is design for large industrial premises, however if client requires such system to be install in large scale offices and semi-conductor facility where sound intensity must be at a control level and instead of siren to replace with chime tone or even music, all this is possible. The above system can even be designed and built to integrate to the facility Emergency Respond System (ERS) to activate the siren during disaster and site evacuation. (Optional-For construction site evacuation during emergency this system can be remotely activated wirelessly using just 1 button). 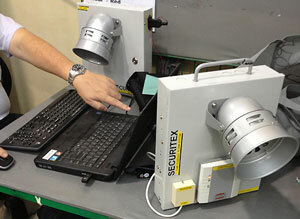 For implementation of this system to the SGSecure@Workplaces to be use in preparation against terrorism at work site please contact Securitex for more detail on how to implement. When SECURITEX-R-BELL302 (Master) is to be deploy over a very large area. There is also the Sub Siren System that can be cascade to the master unit. 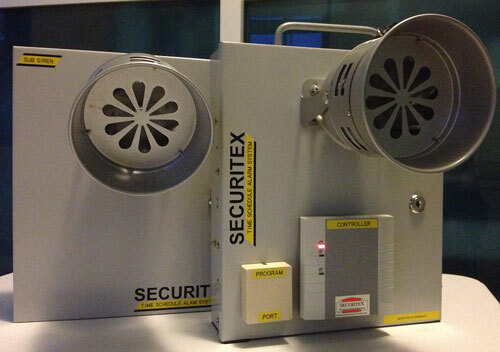 Up to 20 or more such Sub siren system can be incorporated. 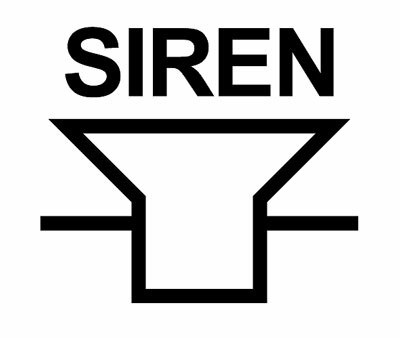 All sub siren use it independent power supply to power the system thus the sub siren unit can be place very far away from the master siren unit. In the event this system is to be deployed over say 2KM to 20-40KM between the Master and the Sub-Siren. 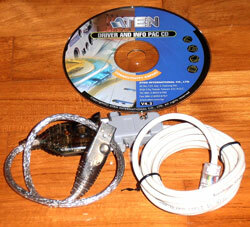 Multi-mode transceiver (up to 2km) or Single-mode (up to 20-40KM) Fibre optic transceiver can be used. Easy to use software is provided with the system including the programming interface and downloading port for administrator to program the timer schedule one time site training is also provided. All system will be pre-programmed before deliver to site and training will be provided. Daily activation report is store in the system for easy audit. The activation log will be store inside the schedule controller up to 32000 event before First In First Out (FIFO). The system can be operated online with the PC ON or it can operate on its own without the PC. Both ways it work excellently well. The above system uses independent power supply for the Schedule Controller and the Sounder Unit. Both this PSU also c/w rechargeable battery to power the system when there is no AC supply. 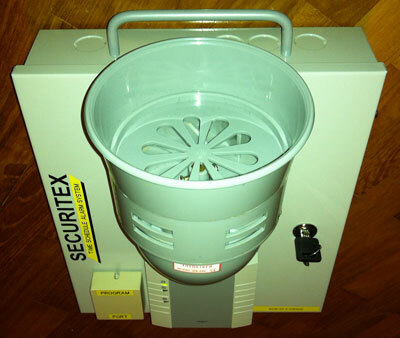 When the SECURITEX-R-BELL302-Schedule Alarm Bell is connected to AC supply, the system is in full operation and at the same time the battery is charge. 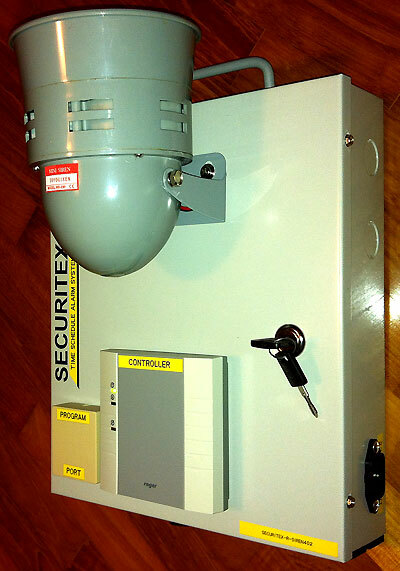 To ensure that the system electronic cannot be tamper with, the system is house in a metal enclosure c/w lock and key. 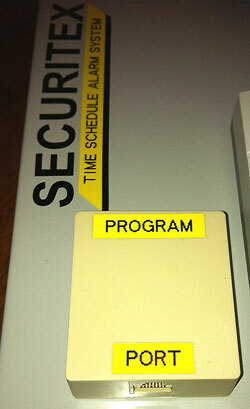 The system can also be integrated to the client paging system to activate the paging announcement. Systems very easy to install just plug and use. 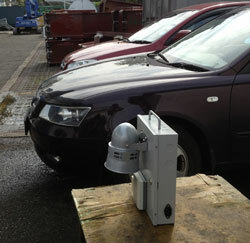 We will carry out Site Sound test before the actual purchase by client. Sound test will be conducted at site before any purchase. If the system is to be operated in a high humidity or subject to weather and harsh element, we can built the system using IP rated enclosure to allow the system to be install OUTDOOR. 3G Mobile Activation Schedule Bell302 System. For company that have overseas branch when there head quarter is in another country and will like the workers break time to be synchronized Securitex do have the 3G mobile activate Bell 302 system, please do not hesitate to contact us for more detail. For the 3G Mobile Activation Schedule Bell302 system use in Singapore, we do have the IMDA type approved.